another bad news for Pakistan Cricket fans came today when Zimbabwe announced that they will not be touring Pakistan to play 3 ODIs and 2 T20 matches in Lahore due to security concerns. 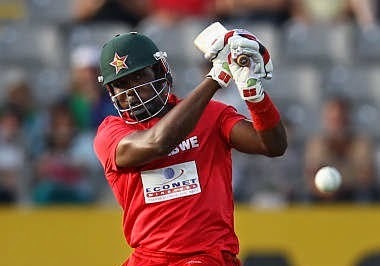 Earlier Zimbabwe got ready to tour Pakistan but after yesterday's deadly attack in Karachi in which 45 people were killed this new announcement was made by the Cricket board of Zimbabwe. no International match has been played in Pakistan from last 7 years after Sri Lankan Cricket team was attacked in Lahore by terrorists. Pakistan is facing serious unrest and terrorism from last one decade due to which International Cricket has ended from the country. Zimbabwe has canceled the tour on advice of sports regulatory authority. Pakistan was ready to provide full proof security to Zimbabwean team due to which earlier they got ready for the Tour. at the same time Pakistan and India are also planning to resume the Cricketing times which are suspended from several years due to political tension between both countries.